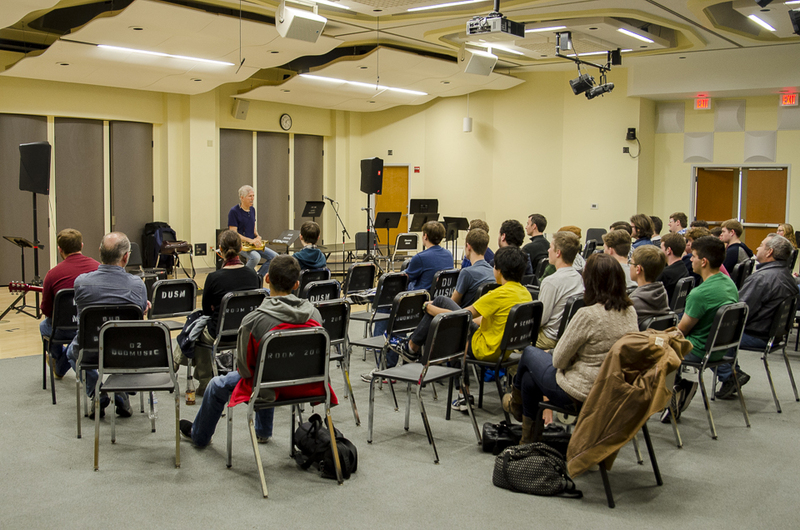 On Sunday, October 4, 2015, legendary jazz musician Bob Mintzer presented a masterclass for students of the Mary Pappert School of Music, as well as students of City Music Center. 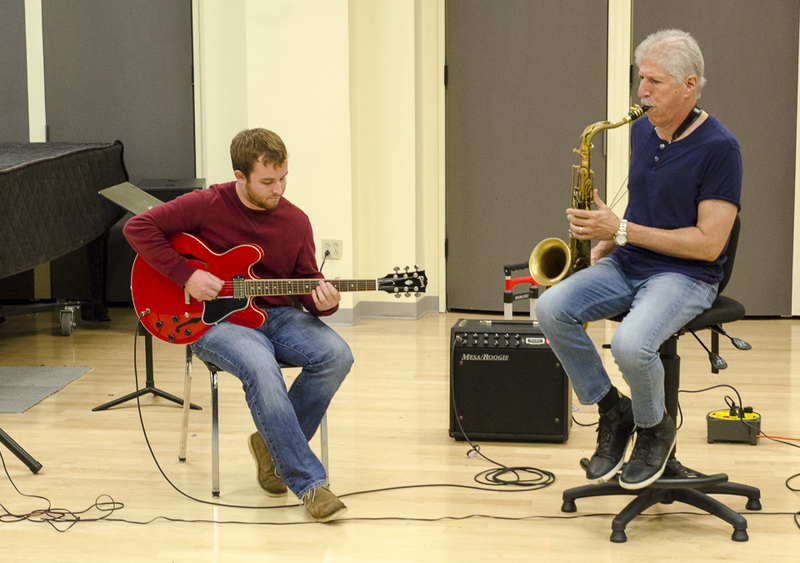 Through a collaboration with Marty Ashby of the Machester Craftsmens Guild (MCG), Professors Mike Tomaro and Mark Koch were able to bring Mintzer to Duquesne following a performance of his group, The Yellowjackets, at MCG. 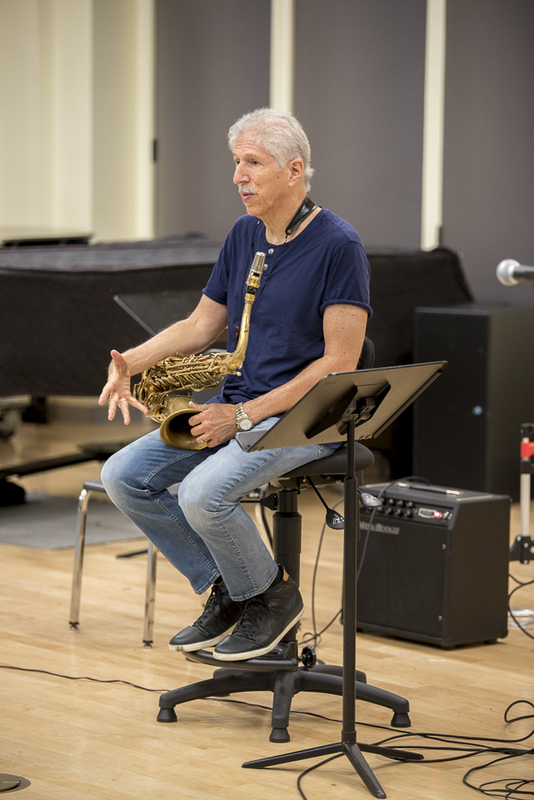 During the talk, Mintzer offered personal insight into his past and how the choices he made led him down his very successful career path as a performer, arranger, and composer. He reinforced the idea that positive attitudes toward every aspect of musicianship makes a great deal of difference in how productive musicians can be with their time. Mintzer's career has led him to perform, write, and arrange for many other noteworthy musicians. He spoke briefly about his time with Buddy Rich, the Thad Jones/Mel Lewis Orchestra, Michael and Randy Brecker, and Jaco Pastorius, as well as with his own band, The Yellowjackets. After speaking for almost an hour and answering a few specific audience questions, Mintzer brought the masterclass to a close by inviting jazz guitar student Gavin Horning to the stage. Together, they played a couple of tunes, Mintzer again sharing his expertise by offering tips and techniques directly related to their performance that anyone can adapt and apply.